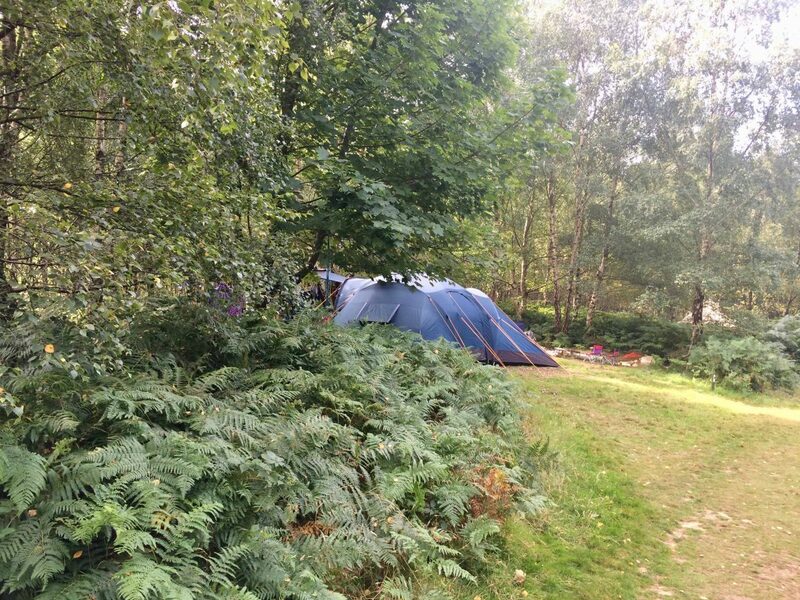 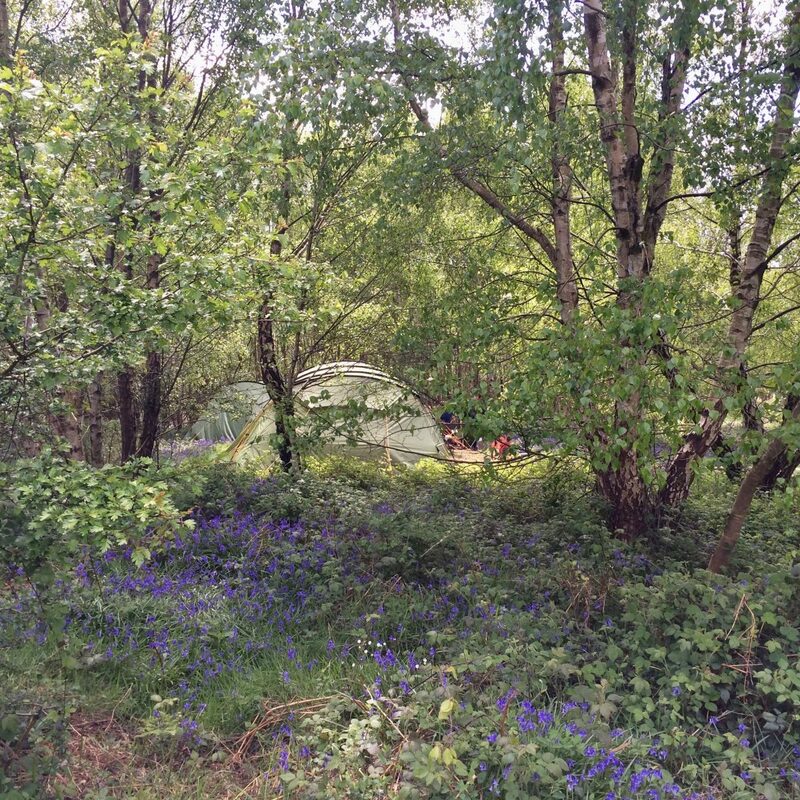 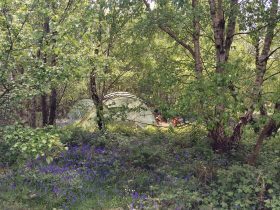 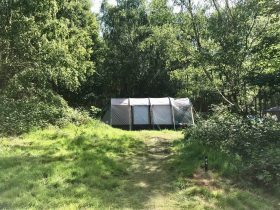 The Forest Tent Pitches are set within glades of the forest. 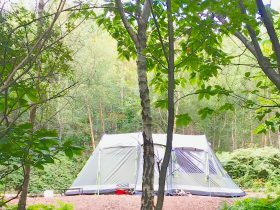 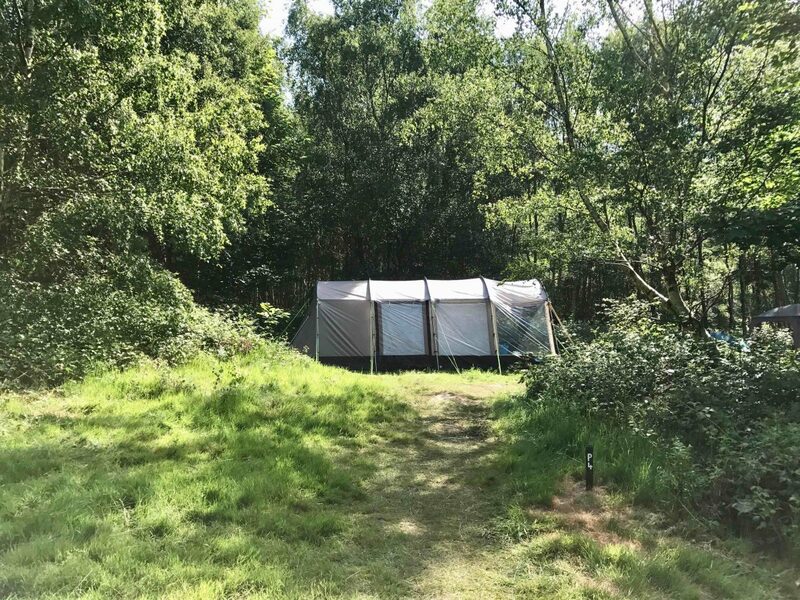 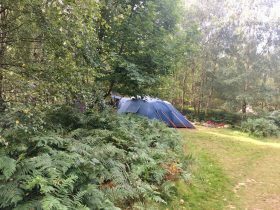 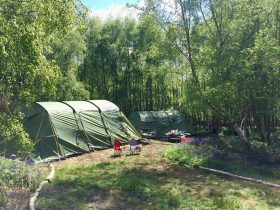 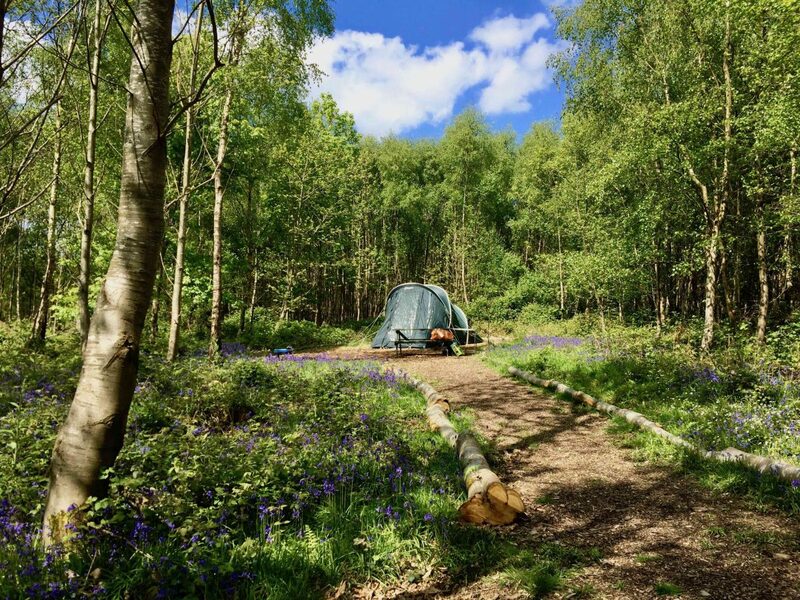 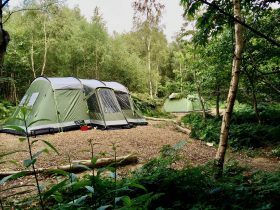 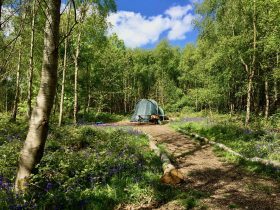 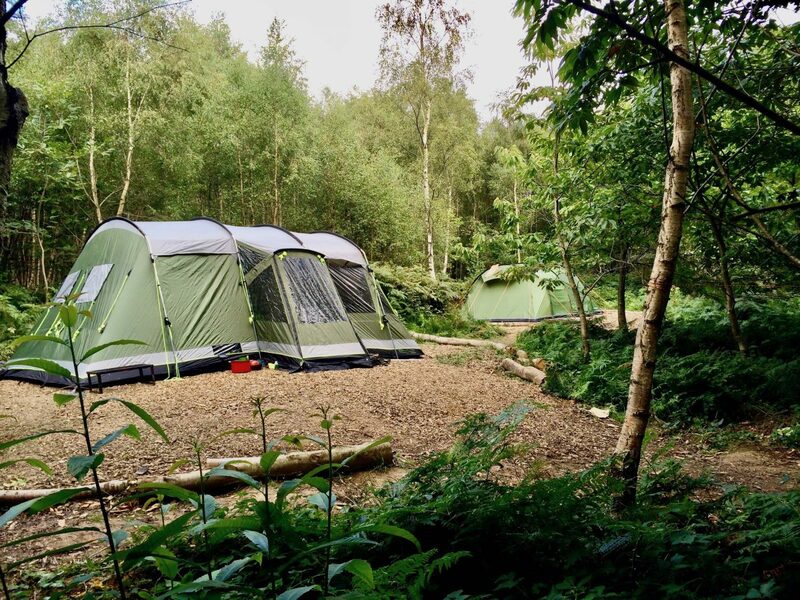 There are various pitch sizes including single pitches, a small number of double pitches and the two larger mini-group areas suitable for three to five families. 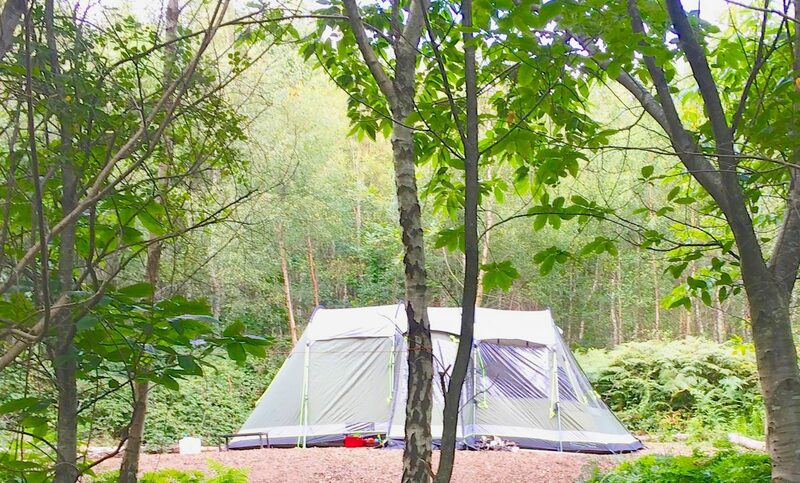 All Forest Tent Pitches have their own campfire pit. 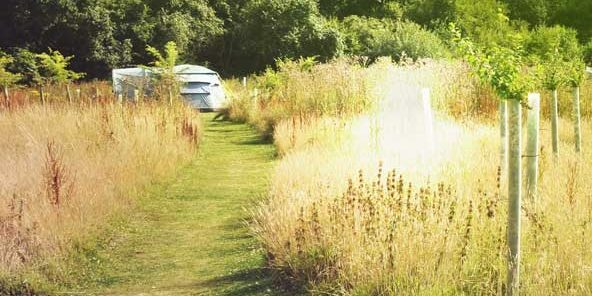 The walk from the car park is approximately 50-200 metres to the pitches – large wheelbarrows are provided to assist you. 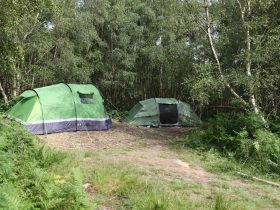 Due to access we do not allow any caravans or campervans – tents only please. 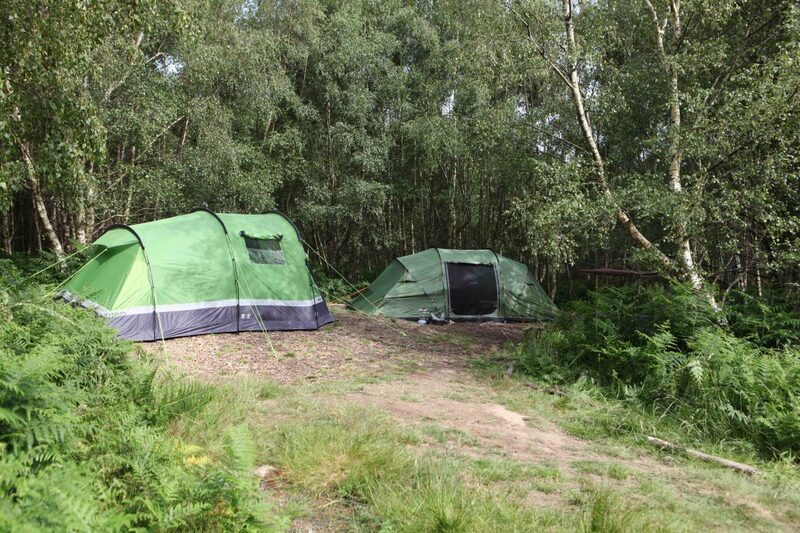 You must supply all of your own camping equipment.